(Nanowerk News) Lithium batteries are what allow electric vehicles to travel several hundred miles on one charge. Their capacity for energy storage is well known, but so is their tendency to occasionally catch on fire – an occurrence known to battery researchers as “thermal runaway.” These fires occur most frequently when the batteries overheat or cycle rapidly. With more and more electric vehicles on the road each year, battery technology needs to adapt to reduce the likelihood of these dangerous and catastrophic fires. 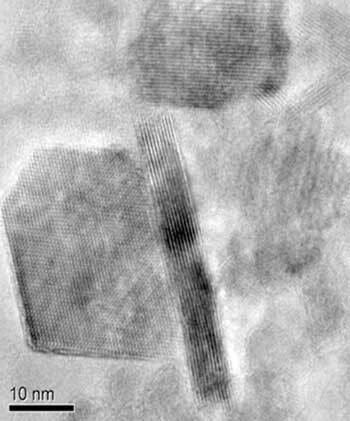 Researchers from the University of Illinois at Chicago College of Engineering report that graphene may take the oxygen out of lithium battery fires. They report their findings in the journal Advanced Functional Materials ("Anti-Oxygen Leaking LiCoO2").